Sooty, sulphurous, and malign: no woman should be out on a night like this. A spate of violent deaths – the details too foul to print – has horrified the capital and the smog-bound streets are deserted. But Rachel Savernake is no ordinary woman. To Scotland Yard's embarrassment, she solved the Chorus Girl Murder, and now she's on the trail of another killer. Jacob Flint, manning The Clarion's crime desk, is looking for the scoop that will make his name. He's certain there is more to the Miss Savernake's amateur sleuthing than meets the eye. Flint's pursuit of his story will mire him ever-deeper into a labyrinth of deception and corruption. 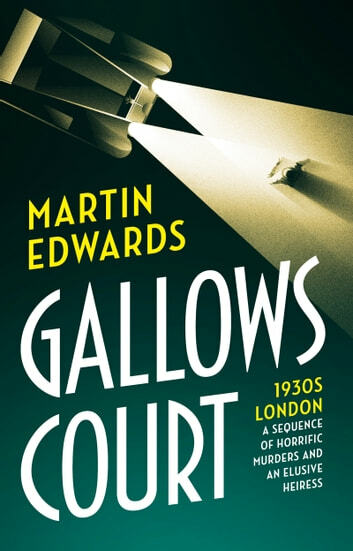 Murder-by-murder, he is swept ever-closer to that ancient place of execution, where it all began and where it will finally end: Gallows Court. 'Packed with evocative period detail, twists and turns and a fascinatingly enigmatic anti-heroine' FINANCIAL TIMES. 'Dark, yet dazzling' Peter Lovesey. 'Superb – a pitch-perfect blend of Golden Age charm and sinister modern suspense, with a main character to die for. This is the book Edwards was born to write' LEE CHILD.